Louis Braille was born on January 4, 1809. He lost his sight completely at the age of five as a result of a childhood accident. Braille's parents made great efforts to raise him in a normal fashion and give him proper education. He attended the Royal Institution for the Young Blind in Paris, where he was taught how to read by a system created by Valentin Haüy, the founder of the school. At the age of 12, he learned of the night writing, a military cryptography system designed by Charles Babier. In this system, letters were represented by combinations of dots. Babier's code inspired Braille to develop his own writing system for the blind. 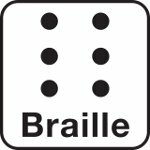 The first version of Braille's system was published in 1824. The system is now commonly known as braille. World Braille Day was established to recognize Braille's contribution and raise awareness of the importance of braille and other alternative formats that allow people with visual impairments to write and read. Various events are organized across the world by numerous NGOs and other organizations.